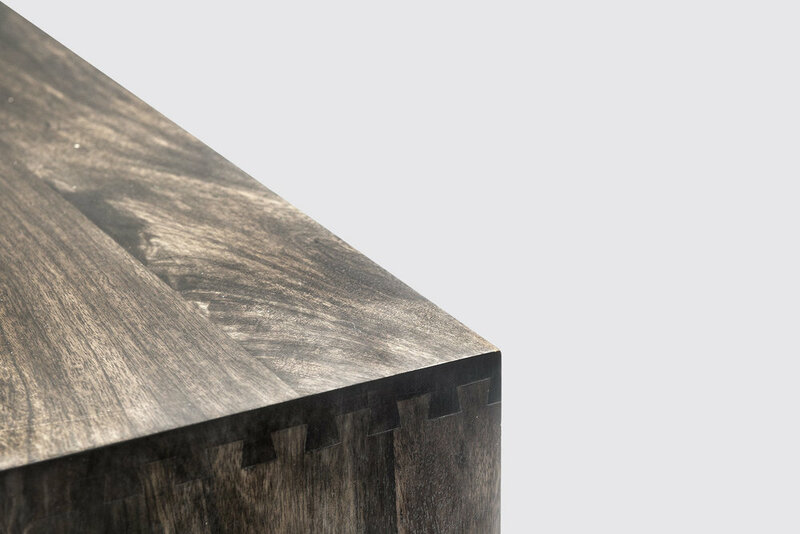 The Mater sideboard is an elegant, hand-built cabinet designed in either natural or sirka grey stained mango wood. 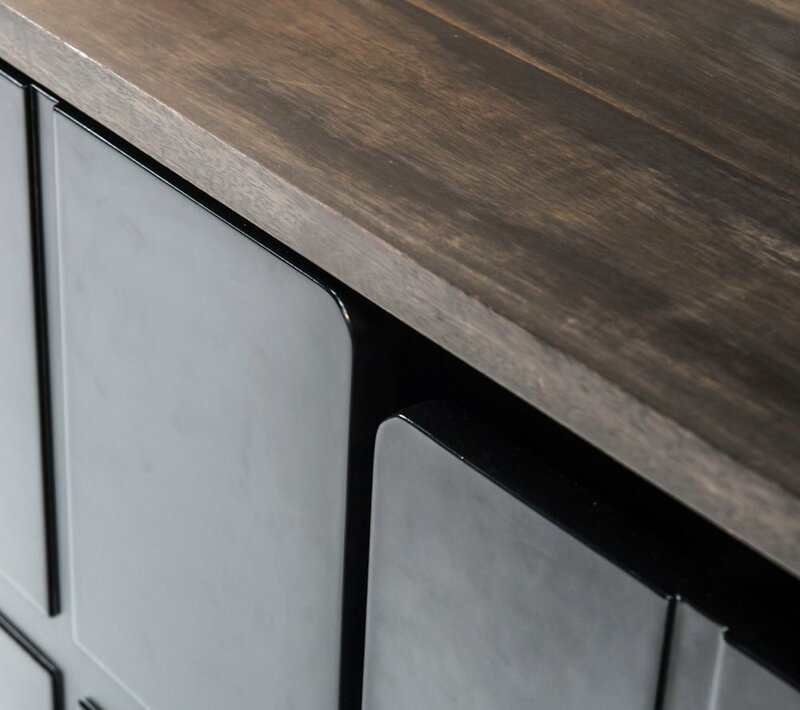 The attention to detail, like the recessed lines in the cabinet doors, make the Mater sideboard a simple yet refined piece of storage furniture. Thanks to the beautiful solid wood backside it can also be freestanding. The fact that the cabinet is made from the wood of a fruit tree makes it highly sustainable. Since mangos are widely consumed the wood is readily available. Once the productive life of the tree is over, it is cut down and another one is planted, creating a closed loop of complete sustainability. The sideboard is not currently in production.